Pittsburgh hosts 70 works from the Paul Mellon Collection of the Virginia Museum of Fine Arts, Richmond, a first stop of an exhibition that will continue in Paris, Nashville, Oklahoma and Jackson until spring 2019. Should we present a collection that shines on all sides, with his Asian art and his remarkable selection of French art: Romanticism, Cubism, School of Paris and, especially, Impressionism. Van Gogh rubs shoulders with Cézanne, Monet, Degas, Sisley and then flirts with Delacroix, Picasso, Matisse and Bonnard. In all, 70 works of French art have been selected to circumnavigate the world. No doubt a difficult choice to make on the 1800 works given to the Virginia Museum of Fine Arts by Mr. and Mrs. Paul Mellon essentially between 1983 and 1985. It is in fact a tribute to Paul Mellon who begins to collect French painting since 1940 and that embodies the current renovation of the West Wing devolving to his collection. 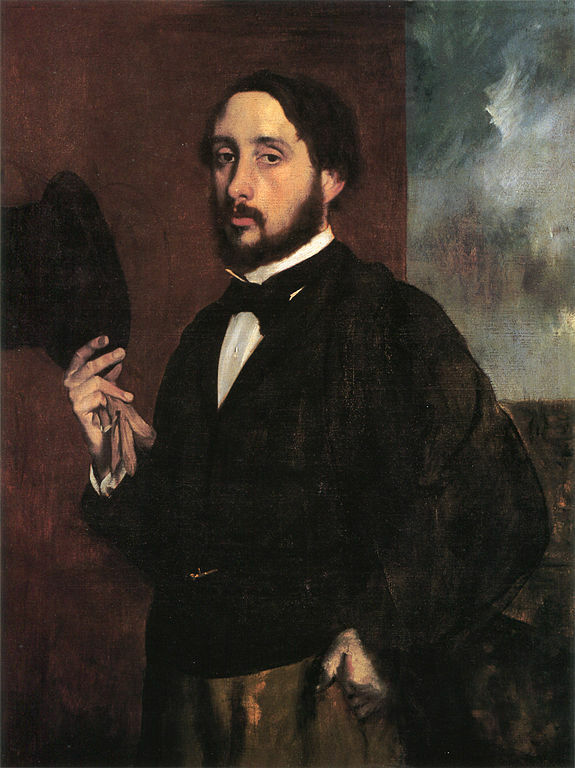 Among the impressionist painters, Degas is represented by a dozen works and not least. 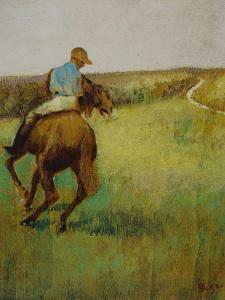 Passionate about riding at the age of 33, Paul Mellon finds in Degas the convergence of art and horse. Thus he buys several paintings presenting races and jockeys in action: Before the start, Jockey in blue (Cf repr.) accompany sculptures finely chosen. The exhibition presents them together to find a different but obviously complementary artistic expression. Portraits also hold all their places. As the catalog explains in essence, this "section" shows characters, men or women, young or old, workers or "bourgeois", presented under a formal or informal aspect: Mrs. Julie Burtey [Burty? ], Alfred Niaudet thus enter into the intimate Degas, that of his relations with the people - varied - of the world around him. The interior scenes have not been forgotten. At the Milliner's, a theme repeatedly used by Degas - often in pastel - is here an oil on canvas from the years 1882-1885. Like the opera, Degas liked to frequent these fitting rooms, which were immensely popular at a time when wearing a hat was so much spread. This traveling exhibition (see below) will stop in Paris in autumn 2018. An opportunity to discover part of this famous collection. - Jackson, Mississippi Museum of Art, spring of 2019.